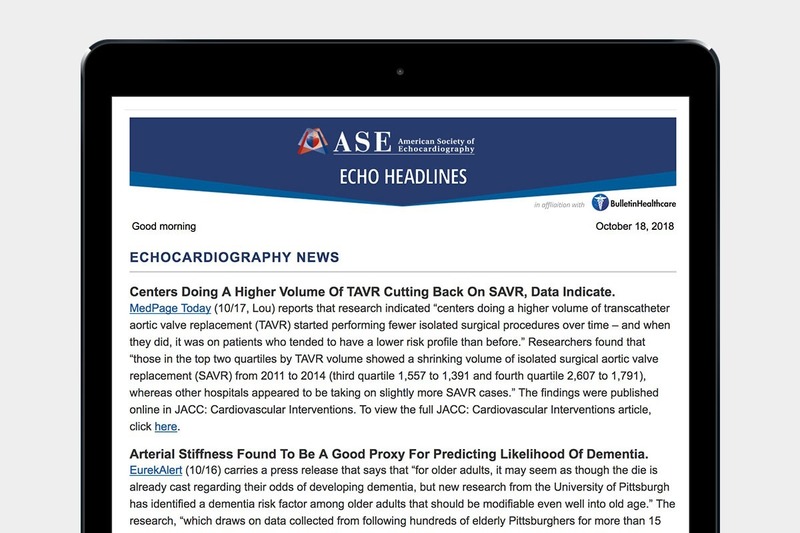 The briefing, Echo Headlines, is distributed via email to active ASE members, including physicians, cardiovascular sonographers, nurses, and scientists, four days a week at 8 am ET. The content of the briefing follows BulletinHealthcare’s signature curation and distillation of the day’s most important news stories by BulletinHealthcare’s team of healthcare experts. 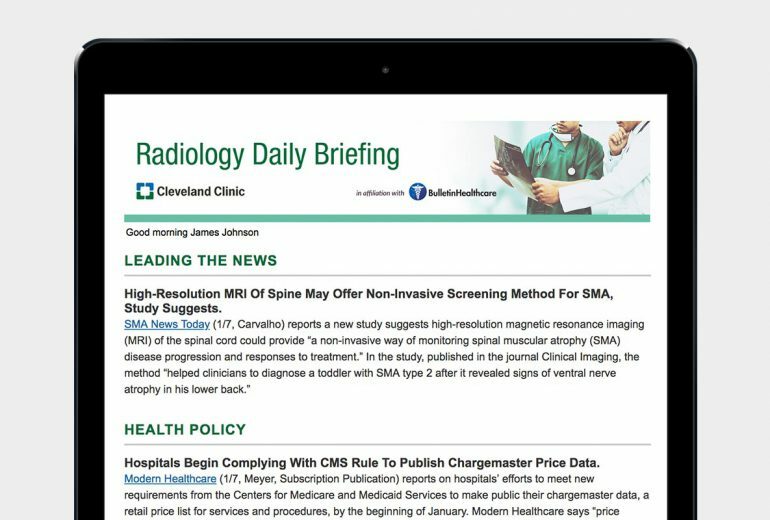 The briefing focuses on the news most relevant to the nation’s practicing echocardiographers. Advertising opportunities in ASE’s Echo Headlines are now available, including special founding advertiser packages for 2018. As the largest global organization for cardiovascular ultrasound imaging, the American Society of Echocardiography (ASE) is the leader and advocate, setting practice standards and guidelines. Comprised of over 17,000 physicians, sonographers, nurses, and scientists, ASE is a strong voice providing guidance, expertise, and education to its members with a commitment to improving the practice of ultrasound and imaging of the heart and cardiovascular system for better patient outcomes. For more information about ASE, visit ASEcho.org or ASE’s public information site, SeeMyHeart.org. To learn more about BulletinHealthcare visit BulletinHealthcare.com.